travelers along Clear Lake’s stage lines. soon became a vacation destination. Born in 1834 in Syracuse, N. Y., Rufus Tallman left his family at the age of 18 seeking California gold – via the Panama Canal. He was one of the first white settlers in Lake County to cultivate the agricultural area just north of Clear Lake. Tallman married Mary Ellen Moore from nearby Scotts Valley in 1861, and the couple had 13 children, the last born in 1893, when Mary Ellen was 47 years old. Built around 1874, the original Tallman House Hotel burned to the ground on October 29, 1895. The San Francisco Chronicle reported “it was a large two-story structure and had always been a popular resort.” Uninsured, the hotel’s losses neared $4000 – in 1895 dollars. However, as Upper Lake became a modern transportation hub, Tallman’s hotel was quickly reconstructed with a more modest floor plan, and locally sourced Redwood. Rufus Tallman died in 1904 followed by his wife eight years later leaving their properties distributed among numerous children. 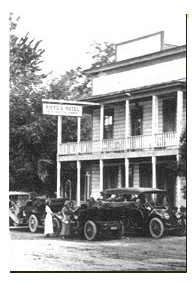 The hotel went to daughter Winnie, now married to Hank Riffe, who changed the name to Riffe’s Hotel upon inheritance. According to the Tallman’s last recently deceased grandchild, Lillian Tallman Atkission, her aunt Winnie ran the hotel operations while her husband took charge of a pool hall and cigar store further up Upper Lake’s Main St.
Three times a day Winnie prepared meals for guests, cleaned the rooms, and did the laundry by hand and flatiron. Childless, she was often assisted by her many relatives, and the help of a Chinese cook. 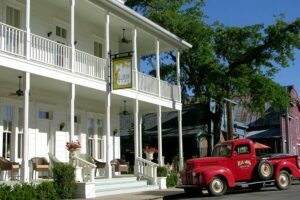 In 2003, Lynne and Bernie Butcher purchased the long vacant, historic Tallman Hotel and began their journey as innkeepers. Under the superb guidance of Candra Scott & Anderson design firm, and the help of numerous local craftsmen, the stately historic hotel was lovingly renovated and restored to period perfection after 40 years of neglect. Remaining true to its original architectural period, the upgraded and expanded Tallman Hotel reopened for guests in June 2006. 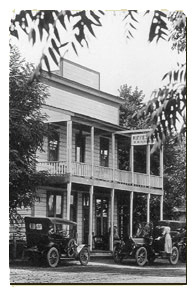 The Blue Wing Saloon, the hotel’s adjacent drinking and dining establishment (torn down during prohibition) re-opened a year earlier. 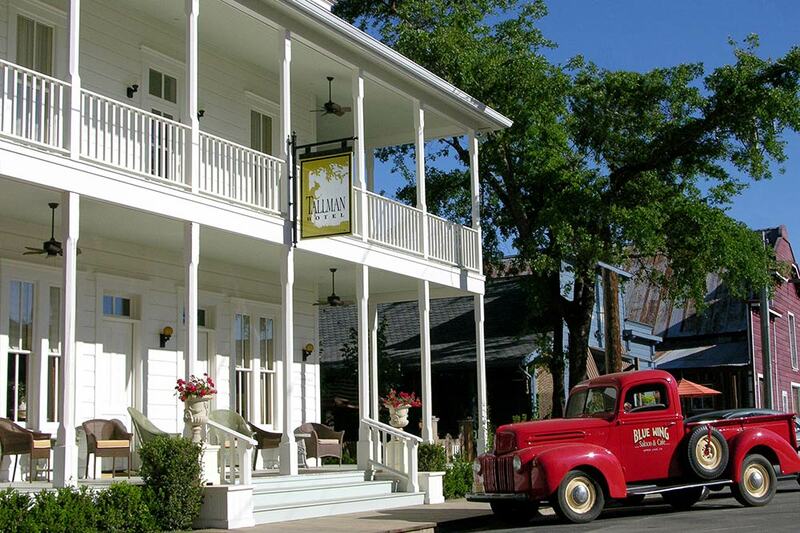 Defined by its simple Western vernacular, the Tallman Hotel continues to play a central role in the development of Lake County as a tourist destination. 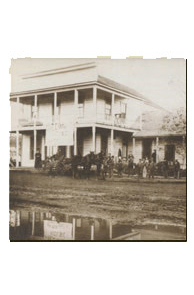 In 2008, the Tallman Hotel was added to the California Register of Historical Resources as a Point of Historical Interest #SPHI-LAK-010. In 2012, descendants of Rufus and Mary Tallman donated the hotel’s original 1902 Kimball upright piano, which is now prominently displayed – and played often in the Blue Wing Saloon. 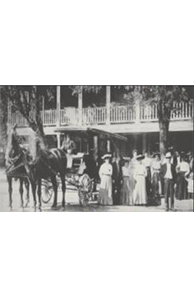 Visit our Press page for more information on the historic Tallman Hotel.